※The portion which the following is redder than a management screen and it has enclosed is used for a setup. A change of a server is needed. 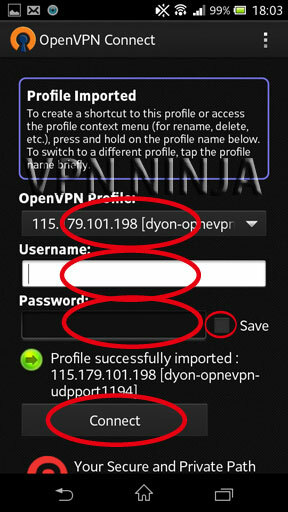 Please check that "OPENVPN" will be chosen. 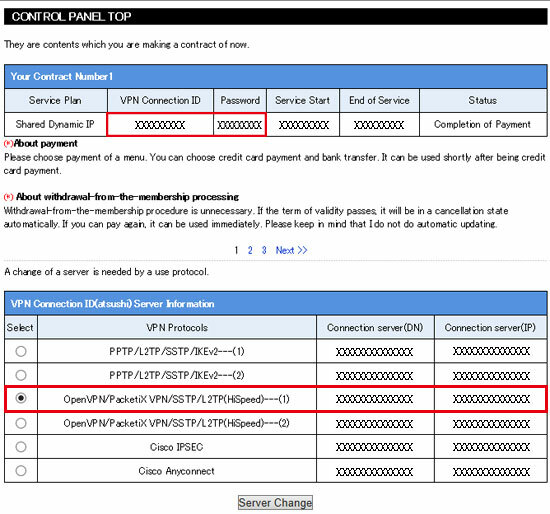 1,First, please download the configuration file of OPENVPN from a management screen. 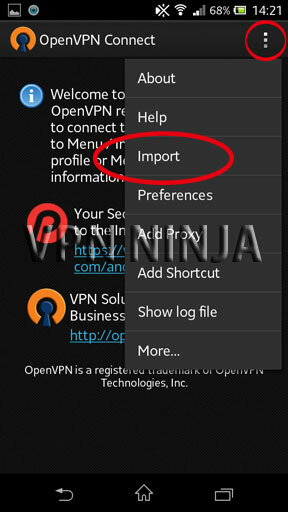 OPENVPN Connect is installable for free from a Google Play. 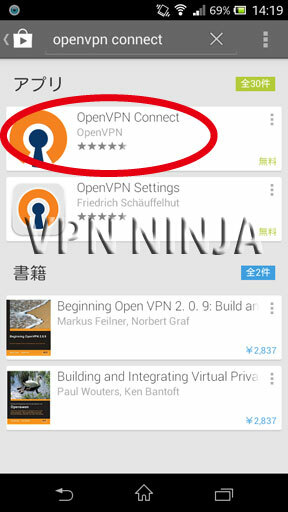 Please search with "OPENVPN Connect " at a Google Play. Please carry out the tap of the installation. 3,Installation is completed, and it will become the following screens if software is opened. 4,A configuration file is installed. Connect an Android terminal with the main part of a personal computer with a USB cable, and click "my computer" -> "android terminal." 5,A configuration file is moved to either "SD card" or "internal storage." A setup with a personal computer is ended now. 6,The top screen of installed OpenVPN Connect changes. The upper right a click and "Import" a tap. 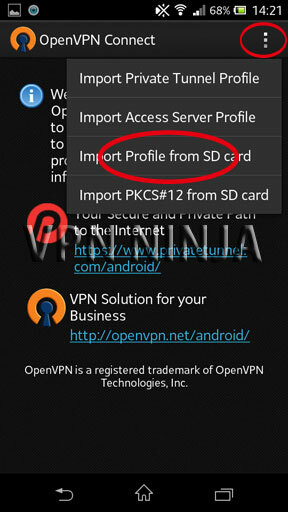 7,TAP "Import Profile from SD card"
8,The configuration file which installed the point comes out. Please import all them. 10,A success of connection will display the "Connected" mark.